Database servers are typically managed by DBAs. But database servers that support line-of-business applications (such as CRM and ERP systems) are often modified by application administrators, who may change database settings or database structures and perform other tasks that DBAs may not be aware of — increasing the risk of security policy violations and compliance failures. 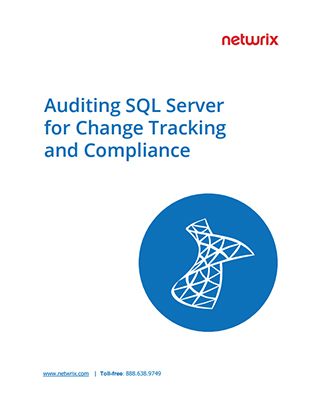 This white paper explains why auditing SQL Server is critical for security and compliance, and explores the options you have for monitoring changes to SQL Server.